Better late than never, but I still wanted to wrap up my reading of 2018 with some reviews of the last books I read in the year. This will also mark the last traditional book review blog post. 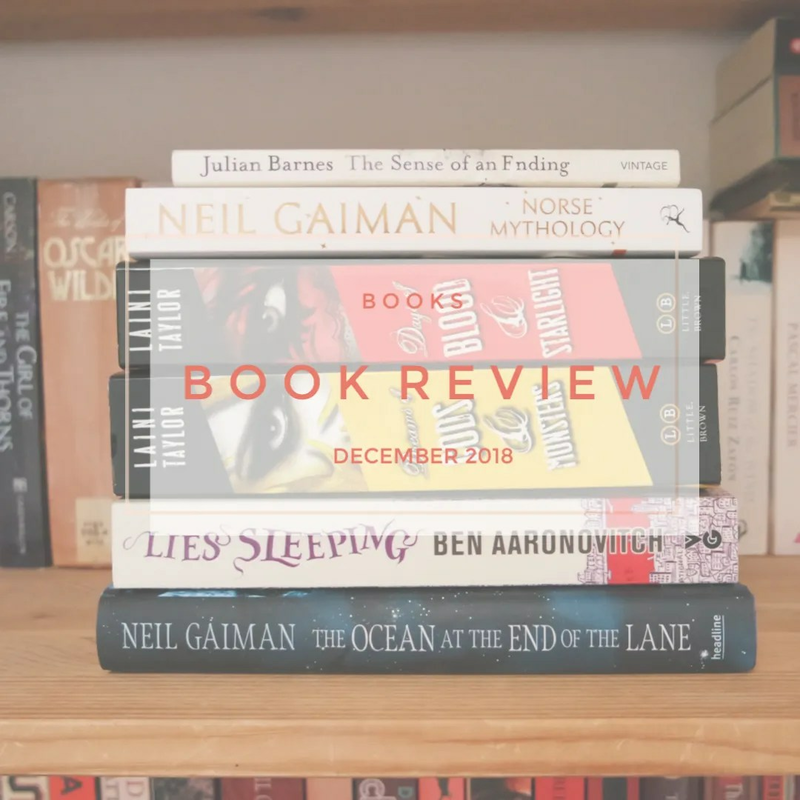 As of next month, I will be doing these reviews in a video format, because I just love to talk about books and so I feel that videos might work better in this care. I read 6 books in total, which pushed my grand total to 42 read books in 2018, covering over 18,500 pages. Here we go! 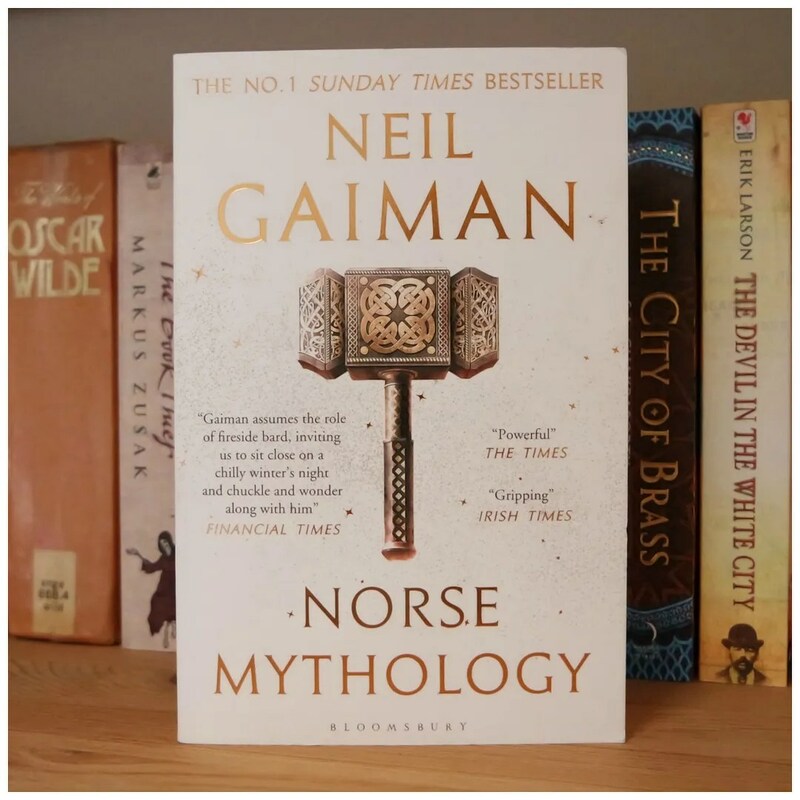 This book is a retelling of Norse Mythology covering all the main characters and most important stories. From Odin’s sacrifice to Loki and Thor’s antics: it is all chronicled in this one, very short book. All the major stories are here and if you want to know more about this unique mythology, it is a good start. I started reading this book at the end of November and finished it on one of the first days of December, which is why I roped it into this review. I love mythology. As a teen, it was all I’d read and look into. I wrote school assignments on the topic and even took a course in Old Norse literature when I was in uni. So I went into this knowing a bit more than the average person. In fact, I have read the source materials Gaiman cites having used in the book. And I was rather disappointed by this. The reason? The writing style. I love Gaiman’s whimsical writing style, but this felt very straightforward and factual. The sentences were very short and no extra layer, interpretation or transition to give it a meaning in our modern society had been given. So I felt that this was lacking. Which is why I say that this book is a good start if you are a novice on the topic and only know Thor and Loki from the Marvel/ Avenger’s movies. However, if you already know a bit more, it is not worth your time. 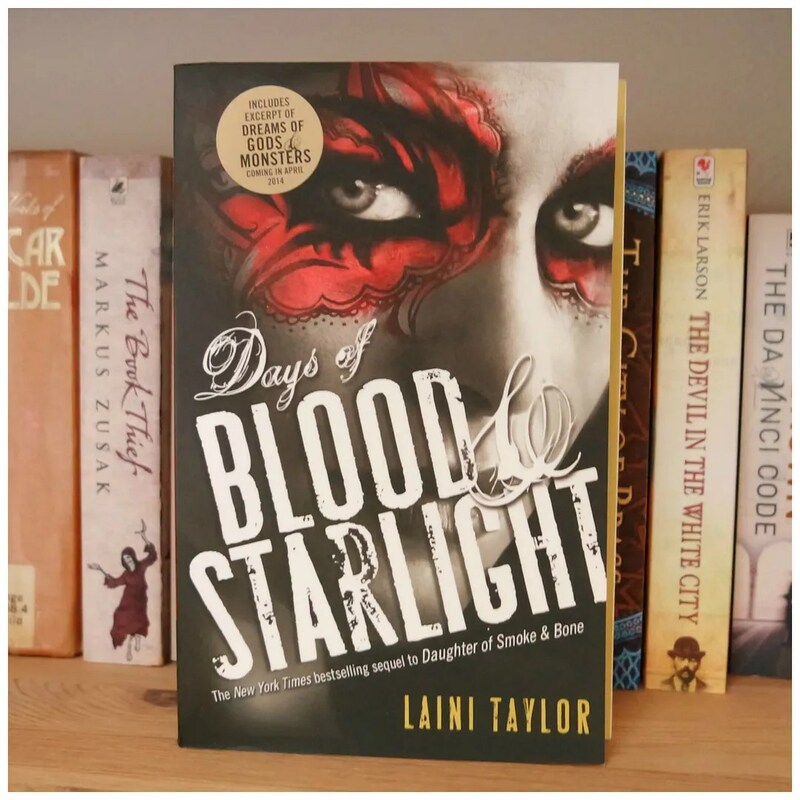 Karou and Akiva went their own way at the end of the first book in this series and so in this second book we follow their individual paths in their different worlds. Karou as she tries to find her place amongst the Chimaera and Akiva as he tries to figure out how the Angels can become a bit more tolerable towards others. The first book in this series was one of my reads in 2017 and I didn’t continue with it until a year later because I wasn’t a fan of that one. It felt a bit too standard YA and yet I felt like continuing the series. This second book surprised me. The world building was great, I loved the writing and because the starcrossed lovers are separated, the level of romance was limited. This was quite a dark book, but I loved every minute of it. Tony Webster is a divorced middle aged man, estranged from his ex wife and many other people he has known throughout his life. This book has him remember and reminisce on his secondary school friends and the sad demise of one of his more brilliant companions. As he tries to figure out what truly happened all those years ago, he is stuck between his memories and what really happened. This book was a birthday gift last year. I always like trying to change up my reading and after a bout of fantasy I like throwing in some literature as well. This book is as much a character study as it is a warning of how memories and true events not always match up. It was a bit of a slow read as Tony is just not a very interesting person and the outcome was a bit predictable, but I still think this is quite a nice book. If you want to go into a short, but slowburning read than this is a good one. The protagonist of this book visits the home of his childhood where memories of the events that happened during his childhood come back to him. He remembers how his parents let his room to a stranger who ended up killing himself in the back of their car. After that he meets his neighbours: the all female mysterious Hempstocks and he befriends the youngest girl Lettie. He is catapulted into a parallel universe and that has some dire consequences. 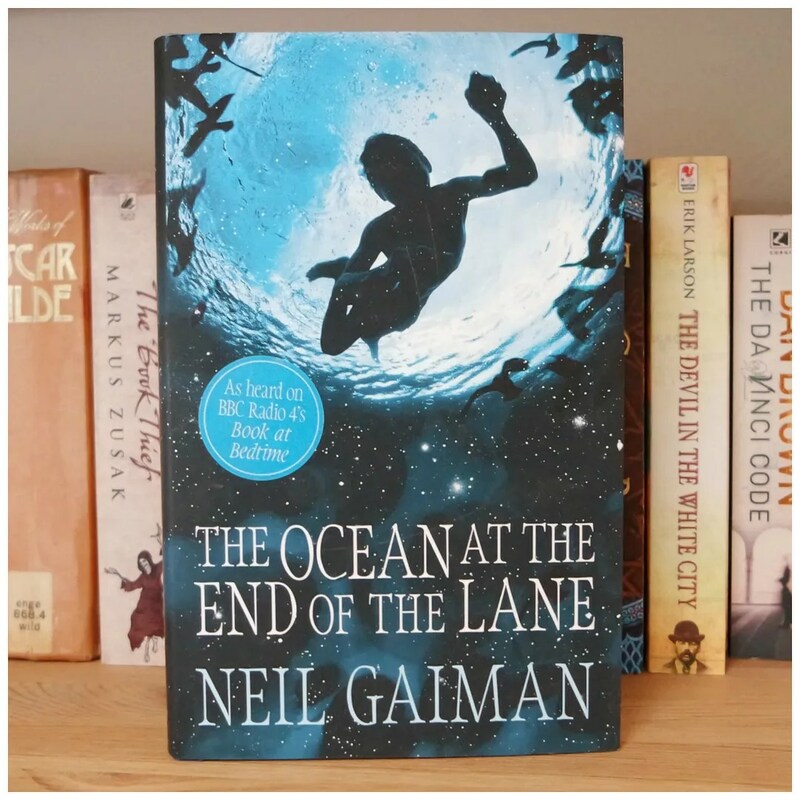 The Ocean at the End of the Lane is another one of those whimsical, magical, wonderful Neil Gaiman stories. It is a rather short book and so I read this pretty much in one sitting. It is strange, it is dark, it is mysterious and it doesn’t have a traditional happy ending, but leaves quite a few endings unresolved. I liked this book, but it didn’t quite think it was one of the best books I read by Gaiman. 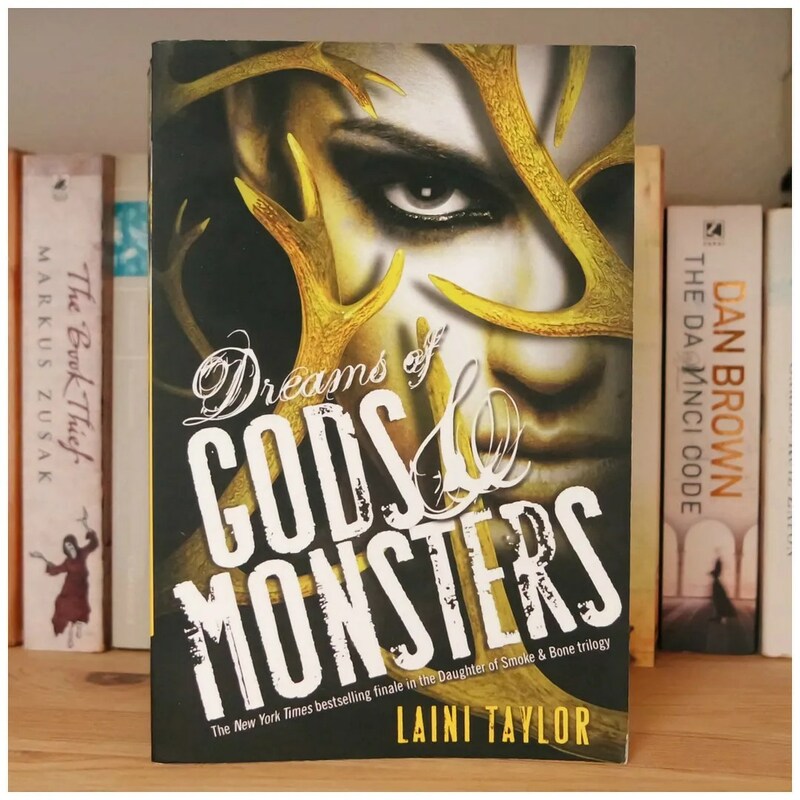 The third and final installment in the Daughter of Smoke and Bone series has the Chimaera and Angels, former opponents, having to unite to not only save their worlds, but also that of the humans. As the new Angel emperor has made his way to earth to ask the humans for weapons, the two opposite groups has to work together and create one of the most unlikely alliances. After reading that second book and really liking it, I figured I’d move on to the third and final book in this series straight away. Sadly, I thought this book did not deliver what I had hoped and it was a bit of a disappointment. It felt too longwinded and drawn out, the plot was lackluster and the slowburning, angsty love story was back. All three things I wasn’t living for, but I wanted to finish the series. In the end this series was mediocre at best. Peter Grant is back for his 7th adventure! After losing the Faceless Man at the end of book 6, Peter and Nightingale are trying everything to try and track him down to catch him. Peter has been promoted, is much more confident in wielding magic and we find out more about some of the supernatural aspects of this world. When a nanny decides to rip out her boss’ throat when the police come knocking, Peter and all of the London Metropolitan Police Department are slowly starting to piece together where Martin Chorley is hiding and they are able to slowly close in on him. 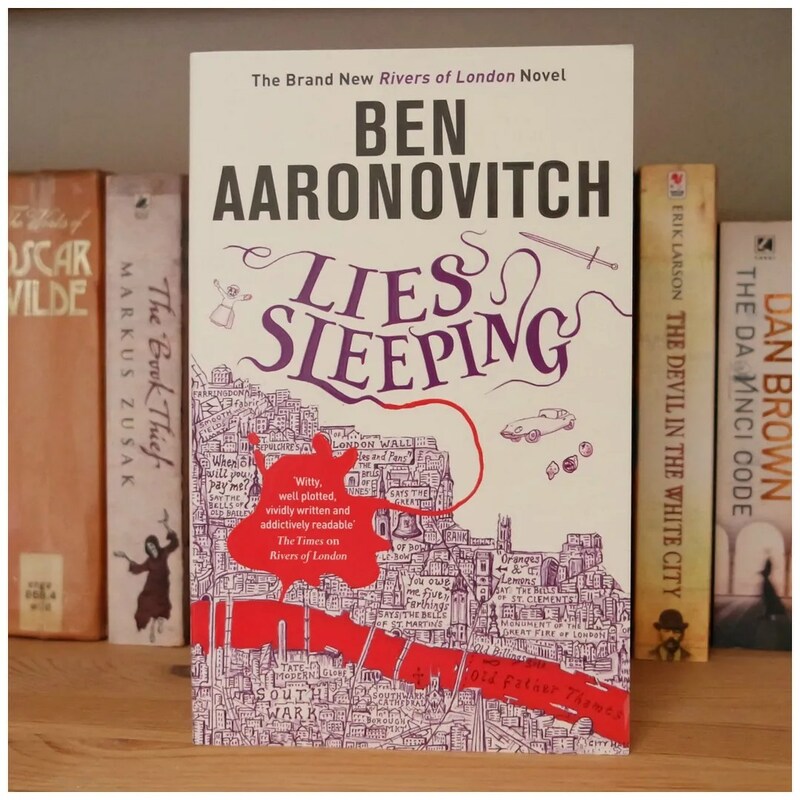 A book released in December 2018 that I knew I wanted to get to asap was Lies Sleeping. I am a big fan of the Peter Grant series and I have raved about pretty much every book in this series. And this is no different. 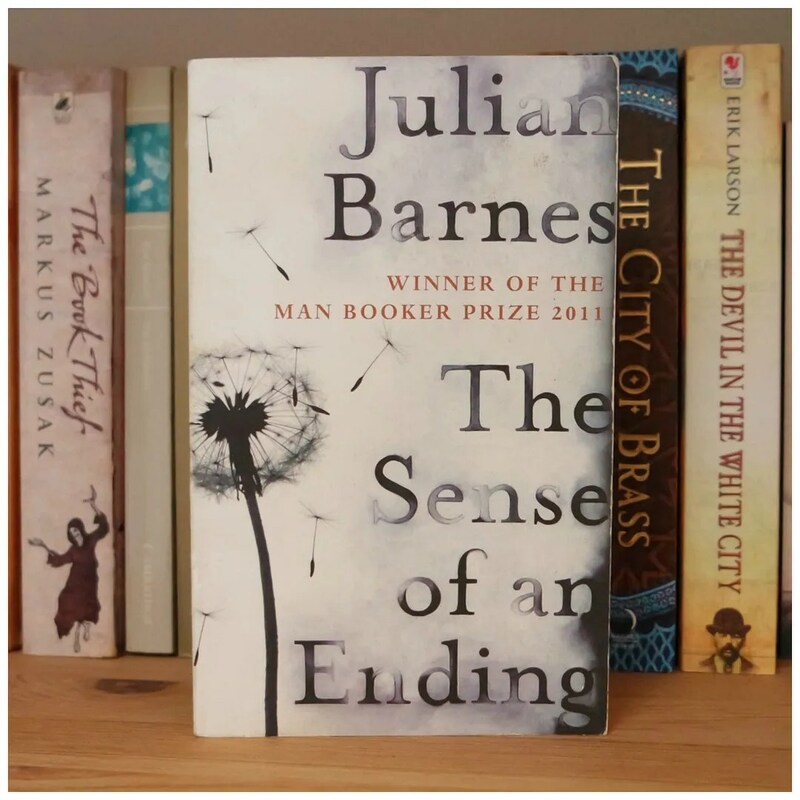 Set in yet another part of London, this book nicely rounds off the arch that was started in one of the earlier books that has been simmering in the background. Needless to say I had to hold off trying to NOT finish in a single sitting as these books are always fun, filled with British dry humor, police investigating procedures and packed with action. Let me know when you read it what you thought of it.